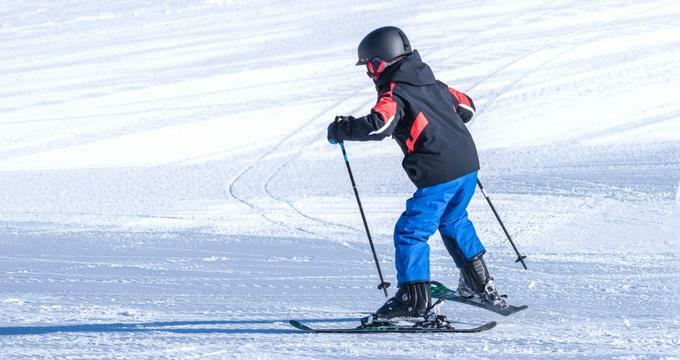 Visiting the Grand Targhee Ski Resort, located in and around the Grand Teton Mountains in beautiful scenic Alta, Wyoming, is good family fun no matter the ages. Whether visiting in spring, summer, fall, or winter, there is always something exciting to do or participate in. Opened in 1969 and dedicated by the governor of Idaho in 1970, Grand Targhee has been constantly evolving for almost 50 years. The resort gets about 500 inches of snow every year and has over 3,000 skiable acres with a top elevation of almost 10,000 feet. The longest run is just under 3 miles and the greatest vertical drop comes in just under 3,000 feet. The attractions located at the ski resort are divided into those guests can do in the summer and those they can do in the winter. Below is a sampling from each season. Check the website prior to any visit to see the other activities that await! Winter - Being a ski resort, their busiest time (and arguably the best time to visit) is in the winter. Here are just a few of the top draws of a winter visit to Grand Targhee. Nordic skiing - Obviously the biggest allure at the ski resort is skiing, and Nordic skiing is one of the favorite attractions. Explore the trail system, including Rick’s Basin as well as Quakie Ridge, which includes over 15 kilometers of groomed trails through scenic terrain. Tubing Park - When looking for family fun, make sure to stop by the tubing park. Slide down the hill with the family then take the Papoose conveyor system back up the hill for another run! Summer - Although primarily a ski resort, there are still plenty of opportunities for fun when visiting during the summer! Make sure to check out the following. Bungee trampoline - This fun trampoline hybrid allows guests to bounce and jump to their heart’s content! Tickets can be purchased solo or as part of the larger activity pass (which includes a scenic chairlift ride, the climbing wall, and a two-pound bag of mining rough). Horseback rides - Horseback rides are a great way to see the mountains as well as the national forest. Fun for the entire family (age six and up), rides are offered for either one or two hours. Children under five can also try the corral rides. Mining company - One of the more unique and fun family activities is visiting the mining company. Guests purchase a bag of mining rough (there are three levels - prospector for ten bucks, pay dirt for twelve bucks, and arrowhead find also for twelve bucks) and “pan the claim” in the interactive exhibit/sluice located on site. They get to keep any gems they find! There are so many special events located at Grand Targhee that the website has had to divide them up into categories. Guests are strongly encouraged to check ahead of any visit to see the vast number of special events available to them during their stay. There are frequent live music events with all different genres represented, events at the nature center with light refreshments and seasonal themes, and sports events. There are also unique special events, like demos with the avalanche dogs located at the resort, fine dining experiences, and holiday events (like their famous New Year’s Eve bash!). Keep a special out for the educational series and get a little information while also having fun. Guests who want to know more about skiing, snowshoeing, etc can attend one of the many lessons or special camps located at the resort as well, meant to work with every experience level to guide them to their goals. While staying at the resort, make sure to check out the dining options. There are different cuisine types, like Mexican food, breakfast options, casual dining, and even fine dining! There are stores located just a few steps from the resort’s lodging, offering goods to help guests while staying there. Visit the Board Shop or the Teton Mountain Outfitters for winter weather gear and equipment, or The General Store for other goods.